The first documented Savannah was a single kitten born to a female Siamese domestic cat that had been mated with an African Serval. The first Serval-domestic hybrid kitten, named Savannah, became the foundation of the Savannah breed in 1986. In 2001, the breed was accepted by The International Cat Association (TICA) under New Breed Class. The Savannah is a lean, tall, graceful cat with dark spots. It weighs 15-25 pounds at full maturity (compared to around 30-50 pounds for the Serval), making it the largest domestic cat. The Savannah has a long neck and long legs, tall ears, and a short, thick tail. Coat colours and patterns considered most desirable for the breed are brown spotted tabby, silver spotted tabby, and black, though there are also white (snow), blue, and marble patterns. Although the Savannah is classified as a domestic cat by the U.S. Department of Agriculture (USDA), the Canadian Cat Association (CCA), and TICA, it has been banned from Australia due to concerns about the potential impact of “supercats” upon native species. Breeders assert that the Savannah represents the best of both worlds – a wild appearance with a domestic personality. Most Savannahs are extroverted, assertive, curious, and affectionate. Although Savannahs can bond with older, well-behaved children, compatible cats, and cat-friendly dogs, they are not a good choice for households with small children. Savannahs are no more aggressive than other domestic cats, but they are bigger, which can make them more dangerous to children who handle them roughly. Savannahs, like other domestic cats, usually only develop behavioural problems if not properly socialized as kittens. For example, allowing (or worse, encouraging) kittens to play rough will lead to a more aggressive adult. Because they are active, thrill-seeking cats, Savannahs may get into fights with other animals or be run over by cars if allowed to roam freely. They may also be mistaken for wild cats and killed or stolen by individuals who find their exotic looks appealing, so they should be indoors-only. For those who wish to provide their cats with safe outdoor time, most Savannahs take well to leash walking. Savannahs require a lot of attention. These cats should only be adopted by people who can commit plenty of time to them. Providing lots of toys that enable Savannahs to simulate the hunt is also necessary to give them an outlet for their considerable energies. The Savannah isn’t a lap cat and doesn’t like being picked up, but it does form strong bonds with its human family and tends to be loyal and devoted. Affection may be shown with gentle head-butts. Savannahs also tend to be talkative with their favourite people. A fascination with water is common in this breed, as Servals hunt frogs and fish in creek beds. Some Savannahs enjoy flushing toilets to watch the water swirl and others will attempt to join their owners in the bath or shower, though not all Savannahs like water. The Savannah is exceptionally graceful, agile, and clever. Most learn how to open cabinets, and some even figure out how to turn doorknobs. Savannahs can jump 7 feet or more from a sitting position and they are very good climbers. Given their large size and propensity for acrobatics, keeping fragile items on shelves is not a good idea. Savannahs are quite fussy when it comes to personal hygiene. Most have good litter box habits, but if the box isn’t scooped frequently, they will find a cleaner location. Savannahs may have bad reactions to certain vaccines, so owners should discuss this issue with both the breeder and a veterinarian before proceeding with immunizations. Also, there is a gestation period difference of about 10 days between Servals and domestic cats, which causes some kittens to be born prematurely and require 24-hour care until they are more developmentally mature. Other than these issues, no health concerns specific to the Savannah have been identified. Overall, Savannahs tend to be quite healthy. Experts estimate a higher-than-average lifespan for indoors-only Savannahs, at about 17-20 years, barring accident or disease. Savannahs can eat the same cat foods as other domestic cats. As with all cats, a high-protein, premium cat food should be fed for optimum health. Some breeders recommend a raw diet, but many recommend this for other domestic breeds as well. Lifestyle Pets Incorporated marketed the Ashera as a proprietary breed, but Ashera cats that were tested turned out to be regular Savannahs. The only difference was a much higher pricetag. Many people wrongly assume that cats with a wild heritage are hypoallergenic, but there is no substantiated evidence for this. Individual allergy sufferers tend to react more or less to individual cats, so the only way to know for sure if a particular cat can be tolerated is to spend time with it. Savannahs are still relatively rare and there is a high demand for kittens, so breeders maintain waiting lists. Prices for Savannah kittens start at around $1,000, and some cost more than $20,000, with the price varying based on gender, generations removed from the Serval parent, applicable markings, and other factors. Beware of bargains, as they often indicate problems. 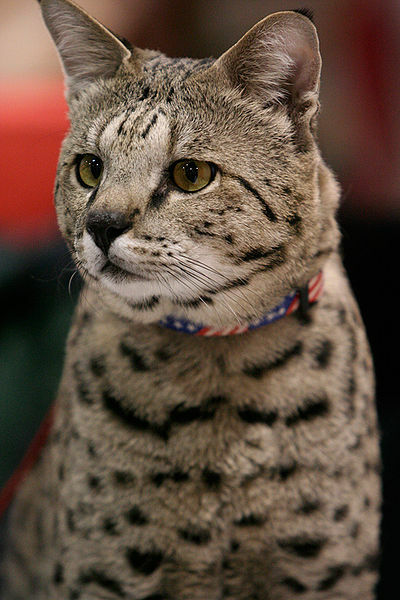 Adult Savannahs may be adopted through the Savannah Cat Rescues in North America and the UK. Hartwell, S. (2009). 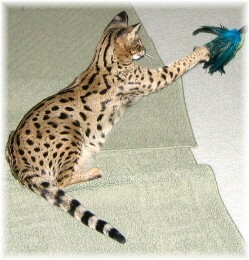 “Domestic X Serval and Caracal Hybrids.” MessyBeast.com. Kelly, P. (2002). 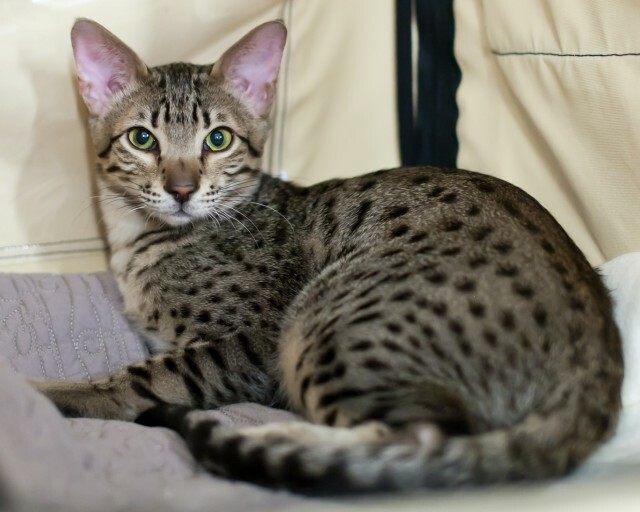 “Frequently Asked Questions.” SavannahCat.com. Savannah Rescue. (2009). “Savannah Myths and Other Useful Information.” SVRescue.com. Spots on the Lake Cattery. (n.d.). 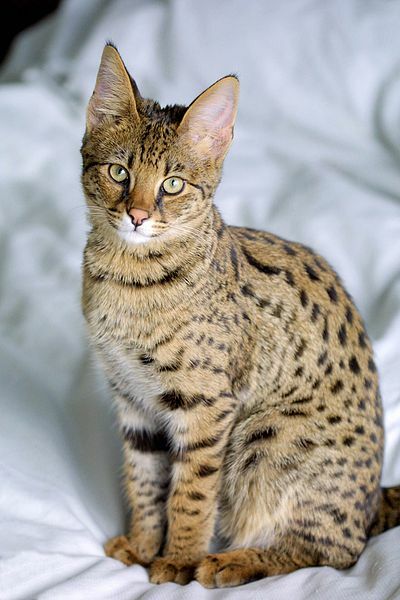 “Facts About Savannah Cats.” SavannahCat.ca. The Age. (3 August 2008). “Savannah Cats Banned from Australia.” News.TheAge.com.au. The International Cat Association. (n.d.). “Savannah.” TICA.org. For more questions who can I talk to. Please help!